Create your own custom patches printed on canvas for a variety of applications. You can order as little as one and apply by ironing or sewing them on garments. They will apply to many fabric surfaces, making them ideal for use on clothing, canvas, luggage, uniforms, athletic gear and more. Patches are durable and machine washable. Missing instructions? Get your instructions here! The type of patch you choose not only affects the overall look and feel of them, but also their durability, longevity, and ability to stand up to weather and washing. At StickerYou, we use Printed Canvas Patches to provide you with the highest-quality, attractive, and long-lasting custom patches that will make your brand or what matters to you stick. Our custom patches are perfect for adding a branded or personal touch on your clothing, luggage, uniforms, athletic gear and more! Printed Canvas Patches are more versatile than embroidered patches. When creating your custom patches, your design or artwork is printed onto a durable canvas material and cut to shape. Colored thread of your choice is sewn around the edge of the patch, increasing its durability. 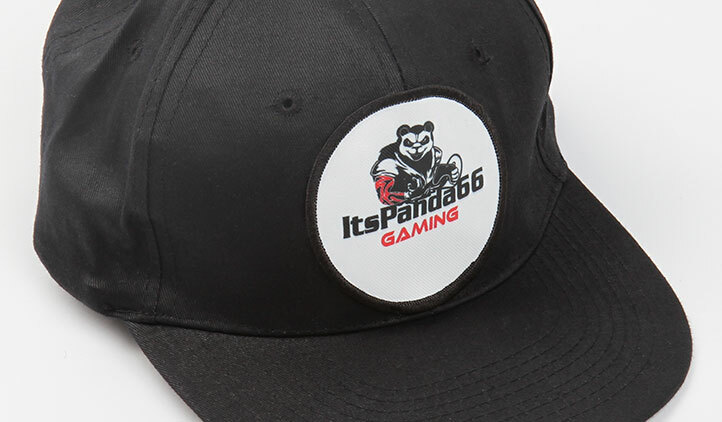 You can even upload photographs or use gradients in your custom patch designs, which is not possible with embroidered patches. This is because our Printed Canvas Patches allow for more vibrant, complex, and detailed images to be made into cool patches. With the total freedom to customize StickerYou’s patches, along with no limit in size, shape and quantity, you can create iron-on or sew-on patches for your business or personal expression. Upload your business logo to create custom patches for name tags, employee uniforms, company events, teams and more. You can also use images of your favorite things and customize your outfits by creating custom patches for your denim jacket, jeans, shoes, hats, tote bags, backpacks and more! Q: How can I create my own patch? A: With StickerYou’s online patch maker, it’s super easy! Use our online editor to create your own design or upload and customize already existing artwork. Choose the shape, size, quantity and your personalized patches will be delivered to your door! Q: Can I order one patch? A: Yes, you can. We have no minimums in order quantity. Q: I don’t have a specific image, but want to create my own personal patch. Can you help? A: Sure thing. Use our image library to find the right artwork for your patch, add the text and customize your patch according to your vision with our online patch editor. Q: Can I choose the background color of my patch? A: Absolutely. Use our online patch maker to choose the image, background and merrow color. Q: Can I have any color merrow on the edge of my patch? A: You can choose from 24 colors available for merrow border to make your custom patch perfect! Q: How do I apply my patch? A: StickerYou’s custom patches are flexible in application. You can sew it on to the garment or stick it with the help of an iron. Make sure that you have a flat surface, preheat your iron to the hottest setting your material can handle, but with no steam. Then place transfer paper or a thin towel over your patch, iron the area where the patch is. After this, remove the towel/transfer paper and let the patch cool. Read our step-by-step instructions on patches’ application and removal here. Q: What are the types of patches? A: There are many types of clothing patches: embroidered, woven and printed patches are the most common. In embroidered patches, the custom design is embroidered with threads on a twill base. In woven patches, the thinner threads are used so they are stitched together in a continuous design, and don’t have additional garment base. In printed patches, an artwork design, photograph or text is printed with ink onto fabric. A: Printed patches are great for those who want their patches to be easy to create, order, apply and used multiple times. They have no color limitations, so your logo, photo or any other detailed artwork on patch will look the most closely to the original. Printed patches are more practical and long-lasting: they are completely washable, dry cleanable and fade-proof. Small text, color gradient and shades are clearly reproducible on printed patches – your clothing patch will look exactly how you want it. 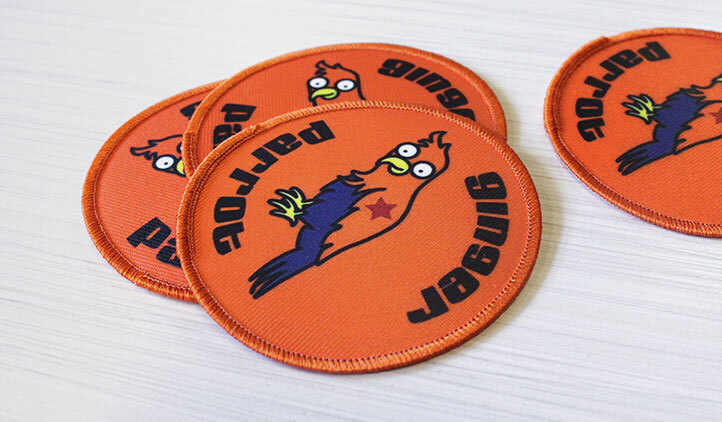 Printed patches weigh less than embroidered patches and have a flat and smooth surface, so they can be attached to particular garments without much difficulty. In general, printed patches are faster to produce in large quantities and much cheaper in cost. Q: How can printed patches can be used? A: You can use printed patches to personalize your own clothing items. Custom patches look great on denim jackets, shirts, hoodies, skirts, trucker hats and baseball caps, or on your tote bags, backpacks and luggage. They will never be confused with someone else’s! You can use them to make your sport team stand out. Either big professional sport teams or small local amateur gatherings to have fun, whether you play hockey, baseball, rugby and soccer or MilSim like airsoft and paintball - our custom patches will make your team members feel more united. 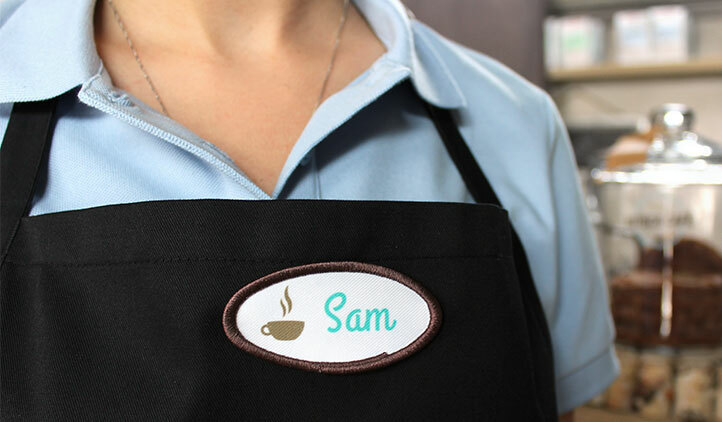 Use custom patches to make your business look even more professional – create company logo emblems to stick on uniforms, order name badges for employees who face clients and customers. Make your sewing or knitting designed clothing to be identifiable at first view. 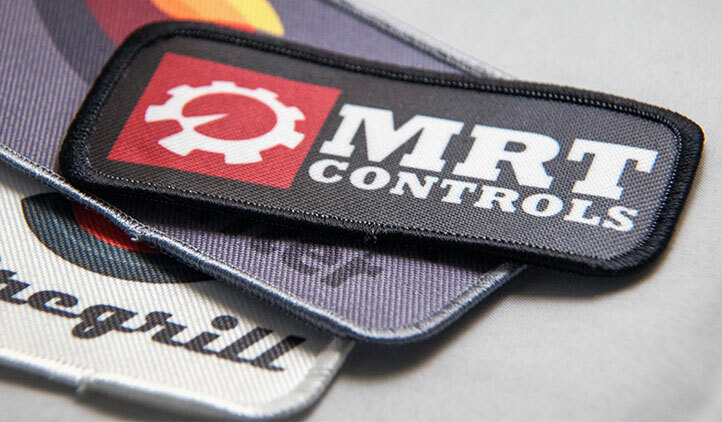 We have more great ideas on how patches can be useful to your business in our blog! Customize 2017's Hottest Trend - Fashion Patches! Custom patches are now available at StickerYou! Here's how to use them in fashion! A helpful summary of how to apply and remove our Custom Patches. We made a new video to show you just how easy it is to make your message stick! Learn how StickerYou's new product, Custom Patches, can be used in your business! Great job would do business again ! I ordered patches with a logo on them. They were crisp, high quality, and came out great. I put them to use right away! Great product,the employees cared about the product I ordered via emails, and it came in a timely manner! Got a patch looks great, only complaint is I had to find velcro to attach to the back. These are beautiful, the print on them looks better than expected. Easy to apply and happy that I could order a low quality. Thanks!